First, they came up with a poster that was lifted from DIARY OF A WIMPY KID, then the makers of Mehrunisa V Lub U agreed on a CAPTAIN PLANET style ending where the director came on screen to give you a message that was already received by the crowd. 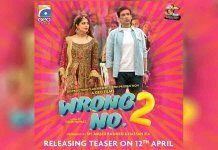 The whole film feels like a mixture of both – Wimpy Kid and Captain Planet – with some ill-placed humor in the name of family planning and some vulgarity scattered here and there to make a ‘family entertainer’ that is a big No-No for your family. There is a scene in the film where the writer intelligently incorporates the names of Danish Taimoor’s TV leading ladies including his wife Ayeza Khan but the hero doesn’t find any of the interesting. He keeps looking inside his wallet where there is a picture of a young girl Mehru, his first and only love. Thankfully, the father Jawed Sheikh gets to know what his son was thinking and he decides then and there that they have found her bahu. Simple! Mehru gets married to Ali in the evening and the same evening, they arrive from North of Pakistan to the South i.e. Karachi – in the same clothes, in the same sunlight. No one dared to ask the heroine to get in comfortable clothes neither was she asked to remove her jewelry. The only way she could have made it to Karachi without being robbed is through teleportation, made common in Star Trek TV shows and movies. Well done Yasir Nawaz, you have a better replacement for Trains, Planes and Careem! Mehru was from an alien planet (read Northern Areas) and couldn’t adjust to the wild lifestyle we Karachi-ites love to live in. Hence, she can’t conceive a child and the hero finds this out through a doctor. He then goes on a mission to change the face of the earth – his mohalla – and tries to convince all of changing their lifestyle, even though his own family doesn’t listen to him. Danish Taimoor and Jawed Sheikh’s characters discuss his inability to conceive a child and the father gives his son some sound advice but instead of doing so in their own home, they do this discussion outside where everyone is listening and ready to give advice. Koi Sharam Hoti Hai, Koi Haya Hoti Hai. Badlo Zara was the only song in the film that was worth remembering especially its execution where the hero lip-syncs on it and the whole mohalla keeps on cleaning, painting etc. The entire community is so talented that everyone has a voice like Sukhwinder and it’s so magical that by the time the number is over, you are transported from Delhi Colony to Port Grand. The entire community is so talented that everyone has a voice like Sukhwinder and it’s so magical that by the time the number is over, you are transported from Delhi Colony to Port Grand. Whenever Mehru comes out of her room, people read fake news to make her happy. There is also a fake news channel that airs ‘good news only’. All this makes Mehru so happy that she conceives in no time! By day, he is fighting goons and by night he is wearing T-shirts that have the Superman logo on them. Now that’s what I call rechargeable power; go get yourself some such shirts as well. You can achieve anything through shouting; Danish Taimoor’s character keeps shouting, be it inside his house or outside in the mohalla; his style of oration is so loved by the people that they agree to change for the sake of Mehru and they announce ‘Lub U’ to Mehru in the presence of her hubby! Just like the films of the 1970s, the villains kidnap Mehru and keep her in a safe place, away from the hero’s reach. However, with the help of ‘Press Cards’, he managed to infiltrate the secure location and rescue his wife. I wonder why Amitabh Bachchan didn’t ask Yasir Nawaz for an advice – he would have been saved from singing Yamma Yamma, Machali O Machali among other songs during his heydays. If your wife is pregnant, perform Marhaba song with a random woman. Also, take her to the hospital in Tonga (and later on foot) for better result. As soon as the heroine becomes pregnant, she tells her hubby who dances with a random woman to celebrate the big occasion. No one does that in 2017 and one hopes that a little common sense must be inserted in the script the next time Saqib Sumeer is asked to pen one. Also, in the era of Careem/Uber, the hero couldn’t find any ride and was made to travel in a Tonga, which is normally OK but not when the wife is due anytime. It’s not that the Tonga made them reach the hospital on time; Danish had to carry the heroine on foot as the traffic was jammed. Both the kid and the mother were in excellent condition proving that the more the bumps, the better the chances of a healthy baby! 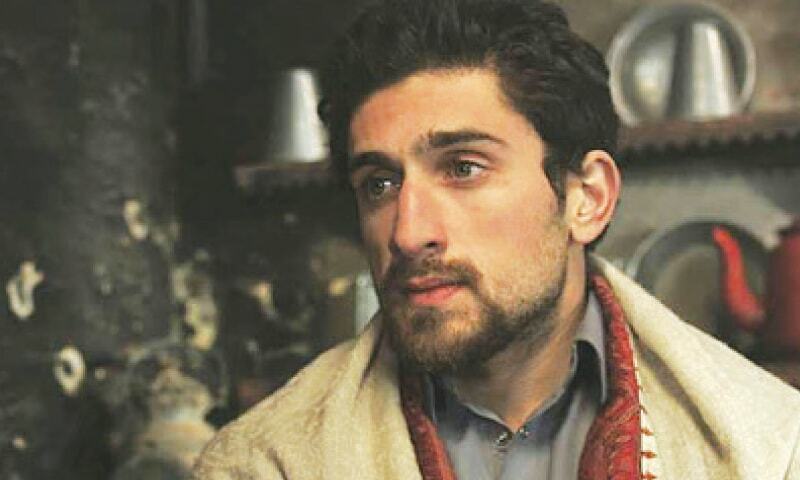 Previous article‘I Learnt So Much From Mawra Hocane’ – Bilal Khan Sings Praises For His Sammi Co-Star! Next articleHere’s How Pakistani Celebrities Celebrated Eid 2017!